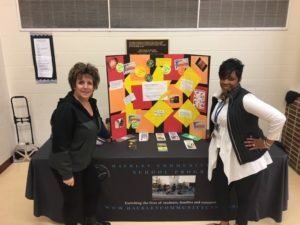 The Knowsmoke Coalition partnered with students from Muskegon High School’s Youth Advisory Committee (YAC) to celebrate Kick Butts Day. 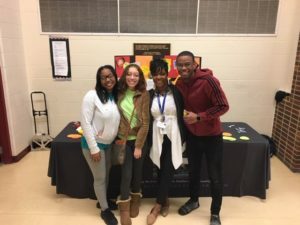 Students were given the chance to share their reasons for not using tobacco and vaping products and “connect the dots” to encourage other students to be the next smoke + vape-free generation. Tyreese Oakes, a sophomore at Muskegon High School, explained, “I chose to be smoke free because I lost a family member to lung cancer and I want to set a good example for the rest of my family.” Tyreese shared how important it is for schools to step away from academics and teach students about the dangers of tobacco, vaping, and drugs. 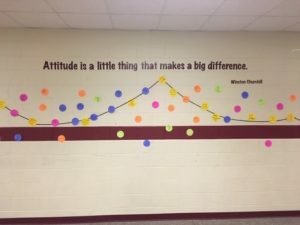 Over 500 “dots” were connected and presented in a collage near the high school’s cafeteria. The YAC students and Knowsmoke felt it was important that classmates share their reasons for why they stay smoke-free. Victoria, a 10th-grade student on the YAC, shared that, “Smoking comes with disgusting health risks, and I choose to relieve my stress by staying active.” The Youth Advisory Committee, coordinated by Joy Evans, works hard all year sharing the statistics on tobacco and vaping, and making sure kids have the tools to say “no” to tobacco and vaping. “David had what’s called an aortic dissection, or tear in his aorta, and we took him to surgery as an emergency. He was in a critical state,” said cardiothoracic surgeon Dr. Richard Downey of Mercy Health Muskegon. Fifty percent of those with David’s condition don’t make it to the hospital. 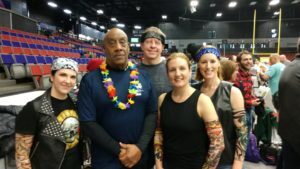 Today, after 14 years, and 4,800 riders with over 55,000 miles, The Ride is the lakeshore’s premier indoor cycling event, and it has raised over $500,000 benefiting cardiac patients in need. Free heart screenings for high school students through the Mercy Health High School Heart Screening Program. Specialized equipment for patients receiving rehabilitation services at the Mercy Health Heart Center. Scholarships for those in need of cardiac rehabilitation, but whose financial or insurance-coverage status precludes them from receiving services. Dave Alves with his doctor, Dr. Robert Downey, and his staff. “I am here today because of surgeon Robert Downey and his staff. I was in critical care and then intensive care. His entire staff was amazing. I am eternally grateful for the care I received at Mercy Health”. “So many young men who do not have insurance need to be covered. You’d be surprised that younger people are having more problems today. Early detection is the best defense for prostate and chronic health issues,” stated Jimmie Fox, Community Health Worker at the Health Project. 86 men, young and old, attended the 2019 Men’s Health Fair that took place on Saturday, February 16th at Muskegon Heights High School. Since 2002, Mimi Rankin and her outreach team have seen hundreds of African American men screened for preventable chronic diseases, providing a need in the community. “Before the Affordable Care Act, the Men’s Health Fair was the only check-up that men would receive because we offer free health screenings. Now, families and young men have access to a family physician and resources in the community,” stated Ivory Morris, Community Health Worker on the Health Project’s Outreach Team. Screenings available this year were for diabetes, prostate, blood pressure, breathing tests, vision tests, and more. Community vendors to provide education and testing were the Knowsmoke Coalition, Walmart, BlueCross Complete, Mercy Health Nurses and Doctors from the Mercy Health Lab, Hackley Community Care, Muskegon Family Care, The Y, HealthWest, and a Muskegon Chapter of the A. Philip Randolph Institute to register voters. The Michigan Profile for Healthy Youth (MiPHY) is an online student health survey offered by the Michigan Departments of Education and Health and Human Services to support local and regional needs assessment. 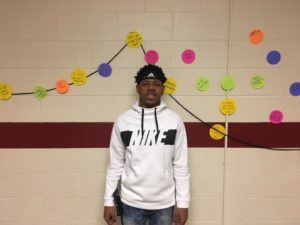 The MiPHY provides student results on health risk behaviors including substance use, violence, physical activity, nutrition, sexual behavior, and emotional health in grades 7, 9, and 11. The survey also measures risk and protective factors most predictive of alcohol, tobacco, and other drug use and violence. MiPHY results, along with other school-reported data, will help schools make data-driven decisions to improve prevention and health promotion programming. In Muskegon County, 13 school districts participate every two years in the MiPHY. Substance use prevention professionals, public health officials, educators, and MAISD staff collaborate on data-driven processes and strategic planning to enhance prevention efforts in Muskegon County. The MiPHY data drives the Drug Free Community of Muskegon County sub-committees, which are: Muskegon ALI, Knowsmoke, Muskegon Area Medication Disposal Program, Alliance for Marijuana Prevention Coalition (AMP), and the recently added Ride with Pride Coalition. To view the 2017 MiPHY infographics, please click on the infographics below. For more information on the MiPHY and the DFC Data Committee, please contact Jill Keast at Public Health of Muskegon County or Ashley Westerlund at MAISD. The Health Project Community Benefit Initiative Grant program was created to facilitate the investment of community benefit funds allocated to the Health Project’s Advisory Board of Directors by Mercy Health Muskegon. This discretionary fund supports initiatives and/or programs that address health needs identified in Mercy’s most recent Community Health Needs Assessment and Implementation Strategy, as well as strengthen and sustain our organizational Mission in the community. Like all such programs, we expect the demand for these funds exceeds availability. For this reason, we have developed specific guidelines for funding that are intended to ensure that each request is evaluated fairly and that all applicants adhere to the intent of the program. The Project Advisory Board is requesting proposals for the FY20 Community Benefit Board Initiative Grants. The Community Benefit Board Initiative Grants are awarded yearly to organizations for programs that address ranked issues in the 2019 Mercy Health Community Health Needs Assessment. This grant is open to all non-profits in Mercy Health’s service area of Muskegon, Oceana and Newaygo Counties. Funding request for up to $25,000 will be considered. All applicants are required to submit a Letter of Intent on the form provided to be considered for funding. Deadline for Letters of Intent is March 20th at 5:00 P.M. Deadline for application is April 5th at 5:00 P.M. The Sister Simone Courtade Grant Program was created by the Sisters of Mercy to support, strengthen and sustain our organizational Mission in the community. The specific intent of the fund is to help poor and underserved residents achieve a better quality of life by improving their health and overall well-being through investment in community programs that address community health needs. Like all such programs, the demand for these funds exceeds availability. For this reason, we have developed specific guidelines for funding that are intended to ensure that each request is judged fairly and that all applicants adhere to the traditional mission and spiritual intent of the program. This process is to be an inclusive process with opportunity for submission open to all nonprofit community entities. There are two tiers for awarded grants: Tier I over $3,000 up to $10,000; and Tier II less than or equal to $3,000. Deadline for Letters of Intent is Friday, March 1st at 5:00 P.M. Voters in Michigan passed the recreational marijuana proposal in November. So what does this mean for Michigan? We hope this article answers some of your questions about the new recreational marijuana law. Marijuana, or cannabis, is a psychoactive drug from the cannabis plant. Marijuana can be smoked, inhaled as a vapor, added to food, or applied directly to the skin. Signs of marijuana use may include bloodshot eyes, increased heart rate, sleepiness, poor coordination, delayed reaction time, and increased appetite (American Addiction Centers, 2018; Narconon, 2018). • Medical Marihuana is still marijuana. • The drug comes from the same grow operations. • Having a medical card does not mean it can be picked up at a pharmacy like a prescription. Marijuana is Classified as a Schedule 1 Drug under the Federal Government. This includes the Controlled Substances Act, the Drug Free Workforce Act and the Drug-Free Schools and Communities Act. The Drug-Free Workplace Act of 1988 is an act of the United States, which requires some Federal contractors and all Federal grantees to agree that they will provide drug-free workplaces as a precondition of receiving a contract or grant from a Federal agency. 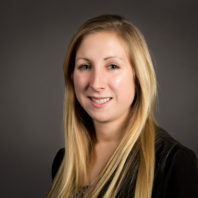 Employers will continue to drug test potential employees during the hiring process; and if there were an accident onsite, it is possible the employer could be under the influence. Under proposal 1, it does not require employers to drug test. Employers still hold a zero-tolerance policy regarding drugs, which can result in termination. It is Illegal to drive under the influence of marijuana and/or any substance; it is illegal to consume substances while driving, and people cannot smoke marijuana inside the passenger compartment of a car or truck while it is on a public road. There is also an existing law that addresses operating a vehicle while under the influence, with passengers under the age of 16, that still applies. The penalty for breaking that law— MCL 257.625(7). Individuals can have up to 2.5 ounces of marijuana on their person, and up to 10 ounces of marijuana in their home. Depending upon the potency of the marijuana, 2.5 ounces could produce as many as 100 joints or as few as 30. Individuals can have up to 15 grams of cannabis concentrates and up to 12 cannabis plants in the home. Exporting recreational or medical marijuana from Michigan to other states is strictly prohibited and illegal under both Proposal 1 and the Michigan Medical Marijuana Act. Medical cannabis is only for the patient for whom it was purchased; and, therefore, cannot be sold, transferred or exported to anyone in or out of the State of Michigan. Forms of exporting include, but are not limited to, mailing, driving, shipping, flying or boating cannabis across state lines. Proposal 1 permits any adult 21 years of age or older to legally cultivate up to 12 cannabis plants in their residence, as long as there are no more than 12 plants total within the residence. Medical patients in Michigan are also allowed to cultivate their own plants. Under the Michigan Medical Marijuana Act, it is permissible for qualified patients or caregivers to cultivate up to 12 marijuana plants as well. Whether growing medically or recreationally, all cannabis plants must be grown inside locked, secured and enclosed facilities that are not visible to the public. Youth Access is Still Illegal: No Matter How You Feel about Marijuana, it is Still Bad for Youth. • It is illegal for anyone under the age of 21 to consume or purchase marijuana and THC-infused products. • According the Michigan Profile for a Healthy Youth Survey (MiPHY), which is a survey administered by MDHHS to 12 schools in Muskegon County every two years, 1 in 3 high school students has tried marijuana, and 7 out 10 students who use e-cig products are 11 times more likely to vape marijuana. Although legal cannabis was approved in Michigan, it is important to note that consumers will not be able to purchase it commercially right away. Initial predictions signal that Michigan’s cannabis sales will not begin until early 2020, as state lawmakers still need to iron out regulations and licensing. The CHIR, the Community Health Innovation Region, is a broad partnership of community organizations, local government agencies, business entities, health care providers, investors, and community members coming together to make a collective impact on the way health care is delivered and received. The goal of this collaborative effort is to improve access to and provisions of health care in our community, ultimately improving the quality of life for all who live here. Using a data driven process, representatives from partnering organizations identify community needs, make decisions, and implement strategies to improve outcomes. Points of focus are physical wellness, behavioral wellness, education, employment, food, housing, environment, and transportation. For more information on the CHIR, please visit www.chirmuskegon.com . The CHIR works to create and support linkages between its partners, always with a focus to break down barriers in accessing community resources in Michigan. One such innovation is the promotion and implementation of the MI Bridges initiative, developed as a partnership with MDHHS and found through the new MI Bridges website. The CHIR collaborated with Community Health Workers at the Health Project to bring physician and provider offices information about the MI Bridge card and the new MI Bridges website. The purpose of the MI Bridge card outlines the process of applying for state benefits, and the MI Bridges website offers additional resources to assist patients in receiving equal health care services. The card also offers resource information and a phone number that a patient can call to speak directly to a HUB Pathways Referral Specialist. If a patient or client needs assistance with accessing the MI Bridges information, they may contact the Health Project and meet with a Community Health Worker to assist them with their account information and applying for benefits. The CHIR hopes that the individual will find other additional resources he or she did not know were available before. This will expose other community partners to local agencies for further collaboration, and in the long term, addressing the social determents of health by breaking down barriers in receiving equal health care services. On January 1, 2019, the MI Bridges website was updated with current community resources and information due to the partnership with 2-1-1. The website creates a virtual and online source to access 2-1-1 and links sources closest to the client. 2-1-1 is a nationwide service connecting over 14 million people to services every year. Previously, a client would search for local resources through a local 2-1-1 provider, or call 2-1-1. Now, due of the innovative partnership, new and available resources are updated on the MI Bridges website, which may be accessed by phone, computer, etc. The CHIR team is urging offices to distribute and promote the Bridge card to every patient due to the unlimited resources patients may benefit from the MI Bridges website. Cards are also available in Spanish. Please contact Michael Ramsey at Michael.ramsey@mercyhealth.com for more information, or to have the free MI Bridges cards delivered to offices. Health Project Community Health Workers are here to help create accounts, upload documents, and to answer any questions patients may have about their case. For questions, please call 231-672-3201 or visit us at www.mchp.org . “We have more enrollment in Medicare this year than we have in ACA in past years,” stated Liz Chala, Community Health Worker Lead at the Health Project. The Affordable Care Act (ACA) enrollment period started on November 1st and ended December 31st. The Medicare enrollment period started November 15th and ended December 15th. In 2018, the Health Project enrolled 57 clients into the Affordable Care Act (ACA) program that provided health insurance plans, and 73 clients into Medicare. 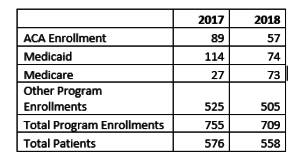 In 2018, the Health Project direct staff enrolled approximately 558 clients into other programs for services and health care. When the ACA first started, new patients were signing into a health plan, where this year, numbers have decreased, with recurring patients coming in to renew their plan in ACA. The Health Project has seen an increase in Medicare patients who can apply if they are 65 years old, disabled or are in kidney renal failure. The clients who come into the Health Project can be assured that they are being taken care of by highly trained Community Health Workers. “They Rock!” exclaimed Liz Chala. “They are dedicated, hardworking, and always providing updated information in the best interests of our patients.” The Community Health Workers are trained to be ACA Enrollment Specialists, attending training every July. 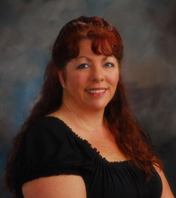 Medicare Certified Enrollment Specialists are located at both Oceana and Muskegon locations. Since 2014, when the Affordable Care Act was first implemented, the Health Project has seen a change in promotion. Liz Chala explains that “the very first year ACA came out, the Health Project hosted neighborhood canvassing every Saturday, during the month of October. Rack cards were distributed to community members and neighborhoods to raise awareness of the programs and services they can access at the Health Project, including the health care insurance plans through the ACA”. Now, you may see Public Service Announcements, social media ads, and bus ads to increase awareness of open enrollment and other services the Health Project offers. In Oceana, placemats are distributed to restaurants. According to the New York Times, nearly 20 million people have gained health insurance since 2010, and that Michigan is one of the states with the lowest percentage of uninsured residents. To make an appointment at the Health Project, please call 231-672-3201, or walk-ins are welcomed from 9 am to 4 pm, Monday through Fridays, at our Muskegon office. If you are an Oceana resident, please call 231.861.0321 to make an appointment. Clients will need to bring a driver’s license, bank statement, proof of income and taxes, and insurance cards. We have Spanish speaking staff available. Filling out the CHNA survey is your chance to be heard! It‘s how we know what your health care needs are so we can improve our services and create programs to help you live a healthier life. We can’t improve things unless we know what’s needed!